I haven't blogged at all this week. I could tell you that I've been overwhelmed with the holidays but that's just not true. I guess I'm getting a little burned out. I've been reading Kindle freebies and other such junk and have just had no desire to blog. Hopefully I'll get out of the funk soon. What about you? 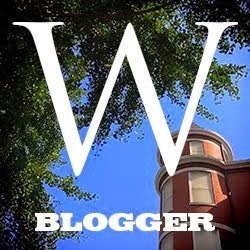 Do you every get blogging dry spells? Just two posts this week for me, neither of which have anything to do with Catholicism. I' ve been busy getting ready for Christmas. Don't tell my youngest, but she's getting a Kindle Fire and Mom has spent a lot of time downloading apps and figuring out how it works so when she turns it on Christmas morning it will do something. Sheriff Boone Taylor has his job, friends, a run-down but decent ranch, two faithful dogs and a good horse. He doesn't want romance—the widowed Montanan has loved and lost enough for a lifetime. But when a city woman buys the spread next door, Boone's peace and quiet are in serious jeopardy. Those who have read the other books in the series will enjoy catching up with the couples featured in them, and I'm guessing there is at least one more book in this series. 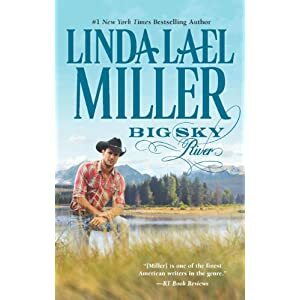 Here are my reviews of the other books in this series: Big Sky Country and Big Sky Mountain. I never expect Christmas stories to be anything but sweet and happily ever after, and this was no exception to the rule. However, it really didn't do anything for me and I chose to skim the second half of this 53 page novella. I'd like to thank the folks at Litfuse for the complimentary review copy. Another light blogging week. I reviewed a book of two romantic novellas. I also wrote about Catholic Schools. What should a Catholic school be like? How does the average Catholic school live up to that ideal? Can a school like that survive in today's world? If not, what compromises are acceptable, and which are not? Ideally, in my opinion, Catholic schools would be much like one I attended for a short time in the late 1960's. It was a parish school, totally supported by parishioner contributions, and it made room for all parish children (even if they had to put 40 students in a class, which they did). It did not have non-parish kids because it was the only Catholic parish in town, and why would Protestants want to send their kids to a Catholic school? We went to mass daily, confession monthly, opened and closed the day with prayers, said grace at lunchtime and took religion daily. Now, I realize that that school was non-ideal in it's own way. I'm sure the teachers were even more underpaid than Catholic school teachers are today. My class (and I'm sure others) had over 40 kids--and I can't imagine there being a lot of individual attention for kids with learning problems in an environment like that. Parents could opt the kids out of mass attendance by sending them to school later than mass began, and that daily mass was not aimed at kids at all, so by the time they reached the junior high years, most kids had figured out how to ditch mass and did. Today the average cost per student in a Catholic school in our archdiocese is about $5,000. The average tuition is about $4,000, with the difference being made up with parish subsidies, donations, grants and fund raising. Still, for many young families, $4,000 is a lot of money. The official Church teachings may encourage big families but tuition bills surely do not (and high school tuition is double that for elementary school). In our area, families who can afford to avoid the public school system generally do. Because Catholic schools, expensive as they are, are often lower priced than other private schools, and because our area is culturally Catholic, our Catholic schools are filled with kids who are not parishioners and who do not regularly attend Mass on Sunday. While I am sure different schools have different demographics, in our parish school only about 25% of the kids are registered parishioners (though the vast majority are at least nominally Catholics and most live in the neighborhood). I think more people think of Catholic schools as private schools rather than community schools. One big selling point of Catholic schools is that they maintain standards--academic standards and behavioral standards. While kids may graduate from public schools as functional illiterates, 90+ percent of graduates of local Catholic high schools go to college. While kids may get away with XYZ in the public schools, Catholic schools don't tolerate it. Parents love this. Who wants their third grader in a classroom with a bunch of illiterate ten year olds? Who wants their first grader's vocabulary of four-letter words to increase due to what they hear from classmates? Who wants their 13 year old boy sitting in class next to a girl whose breasts are hanging out of her low-cut, tight shirt? Who wants to have to worry about physical altercations in the classroom or on the playground, much less fist fights turning into knife fights or gunfights? Who wants the class disrupted by vocal tics from a child with Tourette's syndrome? Who would choose to have their child's class disrupted daily by a frustrated child who was significantly behind the rest of the class and chose to play class clown rather than class dummy? Who wants their sixteen year old daughter sitting next to a pregnant classmate? As parents we want what is best for our children and none of those situations are ideal for our kids; but what about when our kid IS the situation? Where do kids who don't meet the standards fit in the world of Catholic education? Is, or should it be any different, from where these kids fit in the world of private schools as a whole? Catholic high schools around here are strictly college preparatory--four years of science, English, math, history and religion. Two years of foreign language, two years of PE, a year of fine arts and a computer class are also generally required. While some high schools are more selective than others, there are graduates of Catholic elementary schools who cannot find slots in convenient high schools because the schools know the kids can't handle the academics. The less-selective schools lose many of their lower-standing students to public schools before graduation. Are we "upholding high standards" if we simply fail out or counsel out those who fail to meet the standard? I have a daughter who is about to graduate from a public magnet high school that maintains very high academic and behavioral standards. It has been a good school for her and she'll head off to college next year with between 15 and 30 hours of college credit. She has spent the last seven years surrounded by smart kids whose parents value education. While some of her friends' parents have made choices in their personal lives which are incompatible with Catholicism, in general the kids she is in school with have been raised to act in much the same way she has. As my daughter's mother, I'm glad this school was an option. It saved me a ton of money over Catholic schools, provided her with a peer group similar to or better than she'd find in a Catholic school and gave her a top-notch education. However, as someone interested in the overall improvement of our local public schools, I'm not sure it is a good idea. Yes, it is helping the overall test scores for our district, which gives those in charge something to brag about. Yes, it does draw a lot of kids who would otherwise be in private schools. Yes, it does provide a superior education to a few kids too poor to attend private schools--but socio-economically the magnet schools serve a much higher population than the regular public schools. On the other hand, it pulls some of the top students and teachers out of the neighborhood high schools, taking away role models and reducing demand for high-level classes. I have an autistic son who failed to meet the academic and behavior standards of a Catholic high school. They upheld the standards, not the kid and we went to the public high school where the standards may not have been as high, but where kids mattered. My youngest is in our parish school. Tonight I heard a fellow mom bemoaning the behavior of one of her child's classmates who was academically behind and a behavioral problem. She made it sound like if that child remained in the class, she would have to consider moving her child. I don't blame her for being upset. She is paying substantial tuition and her child is being exposed to language she'd rather the child not learn, the teacher is having to devote inordinate attention to that one child, and her child is seeing examples of other inappropriate behaviors. But what about the kid who is causing the problem? Should that child be expelled? That would solve the mom's problem, but what about the troubled kid? Jesus dealt with people where they were and encouraged them to improve; he didn't just accept the perfect, or even the "normal". One of my daughter's friends switched schools this year because her mom was unhappy with the way the school dealt with a student who was picking on my daughter's friend, but the child doing the picking was going through a lot at home and I'm sure that child's parents were happy that the school was working with them. I know how much I always appreciated those who understood my son and cut us some slack where necessary, but I also know it was very tempting to wish that the Catholic high school kids who were teasing him would be expelled. I know our Catholic schools are walking a tightrope. I know that even the most idealistic principal has to pay the bills. When a school is filled with kids who meet their Sunday Mass obligation on Friday morning (yep, when the confirmation kids were told to sign in at Sunday Mass, the DRE got a couple of calls from parents who explained that the kids met their Mass obligation at the school Mass during the week) too much religion could cause parents to look at other schools. When avoiding "those kids" is a major reason parents cough up substantial tuition payments, then having one or more of "them" in your child's class makes you look elsewhere. Are Catholic schools more Catholic--more filled with kids whose parents practice Catholicism, more universal in their outlook toward kids who have problems, more a part of parish life in areas where the public schools are considered good and generally utilized by the middle and/or upper classes? Yea, I know it seems like I've got a lot of conflicting beliefs. Looking at it idealistically, I wonder whether we should have magnet schools; looking at it as the mother of a gifted daughter, I'm glad we got the opportunity to use that school. As the mother of an autistic son, I know he has caused more than his fair share of trouble for the schools he has attended. I also know that the problems he caused were not caused deliberately with the intention of causing problems. I know I was less than happy with the way the Catholic high school treated him and me. Idealistically, I think schools should deal with the students they are dealt. Realistically, I don't like it when my kids are picked on any more than anyone else does. While I may idealistically wonder whether Catholic schools should exist or if their existence, at least in my community, does as much harm as good; as a mom trying to pick the best school for my daughter, I chose a Catholic school where, perfectly or imperfectly, she'd learn about the faith I am trying to teach her. What's the answer? Is it ok to think that society in general should make a certain decision, while making a different decision for myself? Amidst visions of turkey and pumpkin pie, sweet Grace is ready to greet Thanksgiving in a quiet celebration of home and heart. But things don't go according to plan. Her father—to whom she hasn't spoken in years—comes walking through the door, expecting a reunion and her help. And of course this is the exact moment her friend Jake has finally decided to make a declaration. 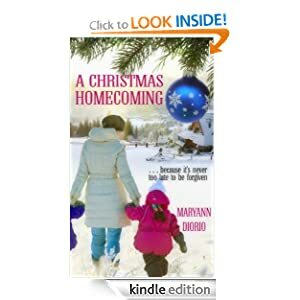 Will the spirit of Thanksgiving be enough to help Grace accept her family and her friend's love? 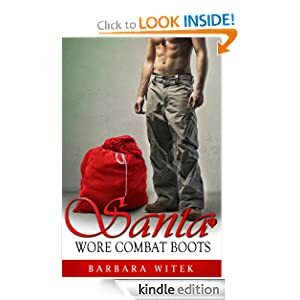 It's Christmas, and Bri never expected to find a handsome stranger sleeping in her barn. 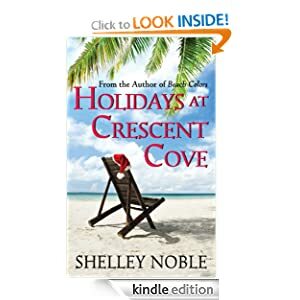 But she never expected to be living in Crescent Cove again with her two adopted daughters. Since 'tis the season to open your home to those in need, Bri decides to let David spend the holidays with her new family, and he gives her and the girls a precious gift—the true meaning of Christmas. These two short romances set in a beach town were a fun way to pass a few hours. Nothing serious, nothing thought-provoking, nothing unexpected, and no intimate scenes. Grade: B. The only post I have this week is a review of a Kindle freebie romance. I'd like to ask you all for prayers. Back in the late 1990's when I first got online I discovered AOL message boards. One in particular was a favorite--a Catholic Moms board. Those of us who posted regularly were generally 30 something moms with young kids, and over the years a core group of us has stuck together and we now have a private group on facebook. Now we are generally the parents of teens, or in many cases, grandparents. A few of us even still have young kids. A few months ago, one of the "anchors" of the group, a woman with great wisdom and compassion, a woman who always seemed to know what to say to pull us together when we started to fuss and bicker, announced that she had lung cancer. Kathy is in her mid-fifties, will become a grandmother for the first time this spring, and is the mother of a teen with special needs. She is also the wife of a man who has a non-cancerous brain tumor (but don't think non-cancerous means non-harmful). This week she received news that the cancer has spread to her liver. Please pray for her and her family. Congratulations to Sunday Snippets regulars Kate Basi and Christian LeBlanc and new reader Seth Peters who won Jesus Christ The Infancy Narratives. Emma Turner feels like her life ended with the death of her husband. Three years later she’s doing the best she can for her children and moving through life on autopilot. She doesn't believe true love can happen twice in a lifetime. As a matter of fact, she doesn't believe in much anymore. Putting her trust in one honest man might be just what she needs to move forward. Bound by duty Jake Nicklaus never imagined he’d cross the line and fall in love with the woman he swore he’d watch over. If only he’d died on that chopper instead of her husband, she wouldn't be hurting. The only way to heal her heart is to show her how to live again. Finding the magic in Christmas is the perfect way to start. I grabbed this when it was an Amazon freebie and decided tonight that a short sweet read fit my mood completely. Honestly, my expectations for Amazon freebies are pretty low, unless they are backlist books from authors about to publish new books. In this case, those expectations were exceeded. Not only did I not finish the book thinking "this could really use an editor", I really enjoyed this novella. It was a clean read but there was plenty of attraction between Emma and Jake. The only thing that might bother someone about this book is that Emma's late husband/Jake's friend appears in the story as a ghost, and Emma is seeking a medium to allow her more communication with her late husband. Still, its a Christmas story, so in the end... Grade: B-. Only one post this week. I reviewed a Catholic romance novel, which was recommended by Sunday Snippets regular Ellen Gable Hrkach. The title is is Angela's Song and the hero is a 50ish bachelor; the heroine a widow with three kids. Question for those who read religious fiction or fiction with religious themes: How much is too much? In a book not explicitly about a character's religious life/conversion, how much religious content is too much? Do you prefer books with subtle themes or those which explicitly try to make their point? Do you like to read sermons or lessons in your fiction? Advent for Families with Children, Keep Christ in Christmas Activities, and Celebrate Epiphany. Also, don't forget my giveaway of the Pope's recent book. Jesus of Nazareth, The Infancy Narrative. I got my book this week and I'm enoying it. Giveaway ends Sunday night.